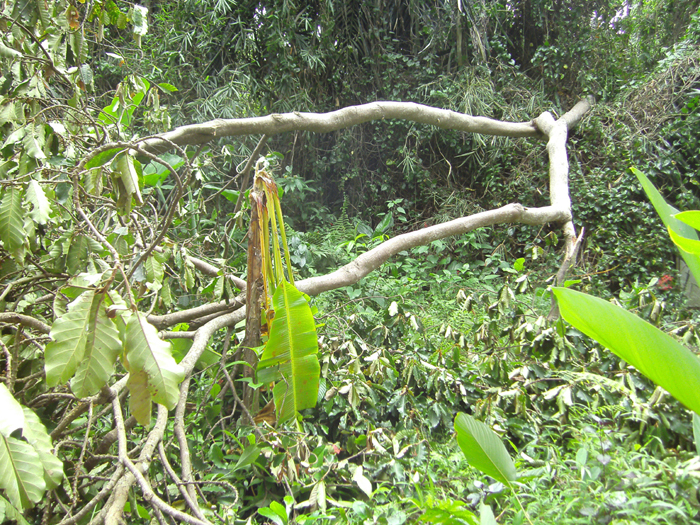 We had several very severe storms on Bali lately. This last one has uprooted 7 of our beautiful trees. 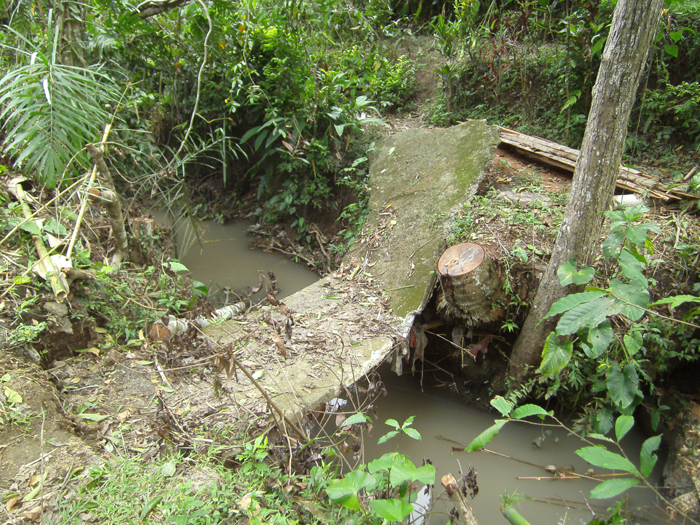 The storm caused quite some damage on our premise – one of the entrances to the coconut house was damaged, and also a small bridge was destroyed when a tree fell on it. Currently we are in the process of cleaning up the mess. Soon we’ll start reconstruction….. 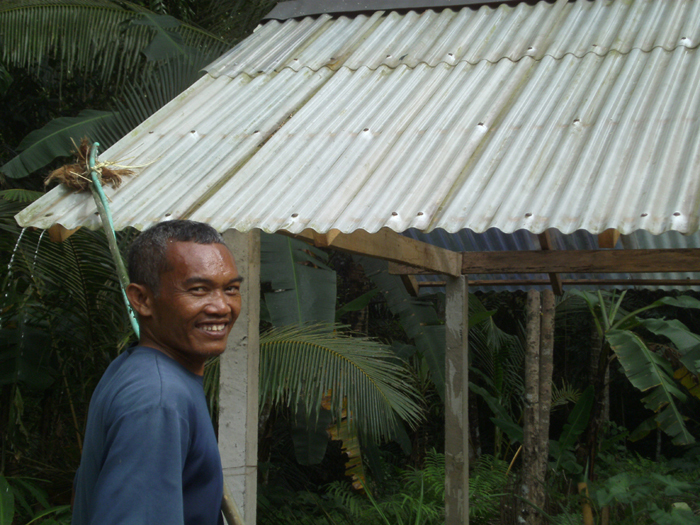 It is rainy season on Bali. Heavy rains and storms are quite common during this time of the year. One side effect of the rain, in combination with the hot and humid temperature is the fast growth of algae, weeds and fungus. The roof of our green house was completely covered with algae. No sunlight would come through the roof anymore, …which the plants down beneath did not like of course. 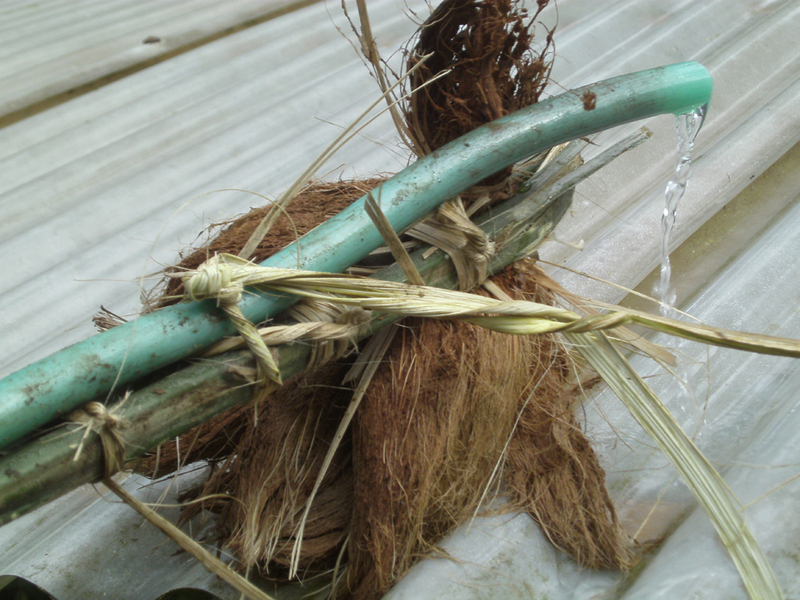 A bamboo stick, with hair from a coconut shell attached to it as well as a water hose. 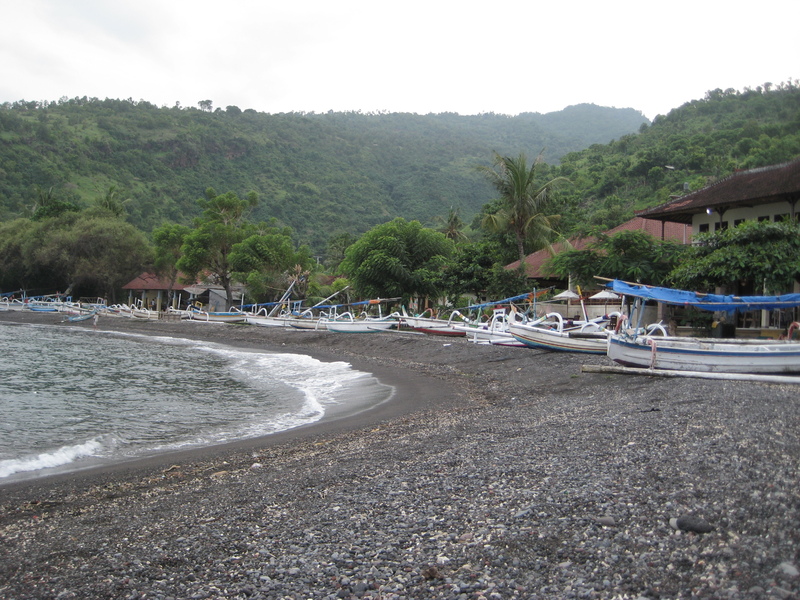 Here on Bali there are many beautiful places and attractions which our guests can visit during their stay on the island. Many of the sights can be reach within few hours. 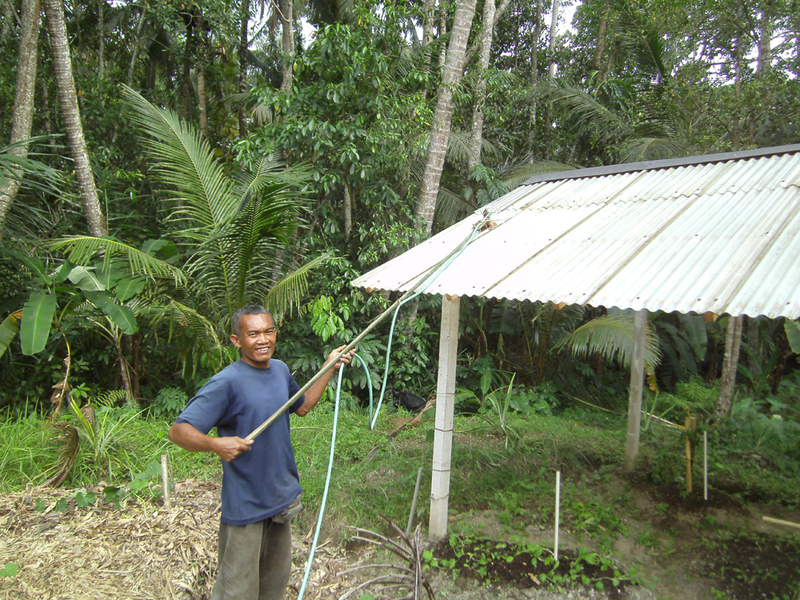 At Jiwa Damai we organize day-trips and excursions for our guests, according to their wishes. We have a privat driver who will be exclusively at your service. In Amed you can find pretty cheap accommodation. We can book a hotel or guest house for you if you wish. The thing to do there is go snorkling. There is a huge ship wreck lying few meters away from the beach, grown over with beautiful colorful corals and plants. Tropical fish are swimming through the corals – an amazing sight ! 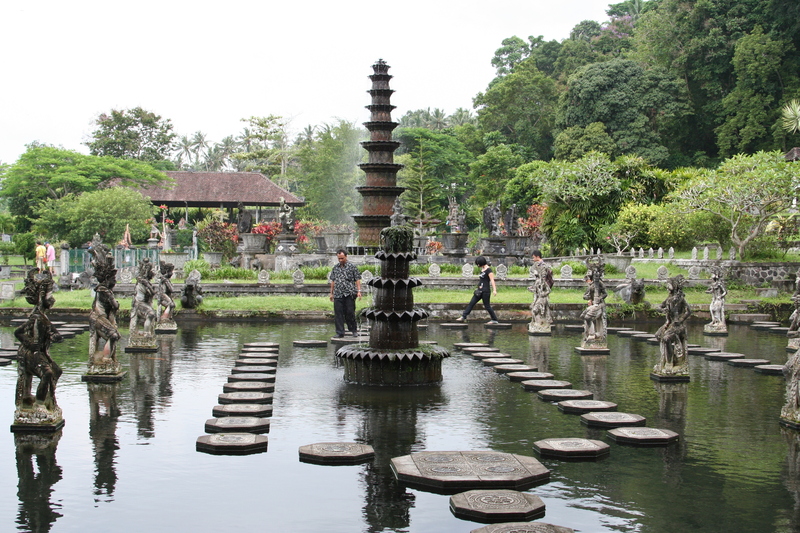 Along the way up to the north you will pass the famous sight of Tirta Ganga – the ancient royal water gardens. 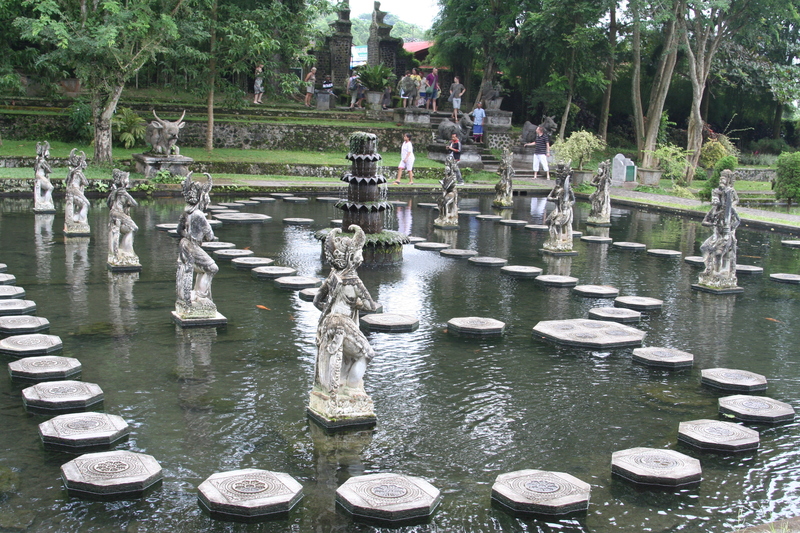 Tirta Ganga was built by the last Balinese king of Karangasem.